There are many more species in the areas than I have listed here; these are simply the ones that I found most interesting. There are several different types of bivalves, sea weeds, etc. Material about the species on this page came from several sources, including the Bigelow and Schroeder’s book referenced in the previous posting. Also, Kenneth Gosner’s A Field Guide to the Atlantic Seashore published by Houghton Mifflin Company in Boston, Ma, 1978. I also used Norman Mein-Koth’s Field Guide to North American Seashore Creatures published by Alfred A. Knopf in New York in 1990. Sea Stars (aka starfish) – Every third dredge, the contents of the dredge are sampled and the sea stars are separated by species and counted. 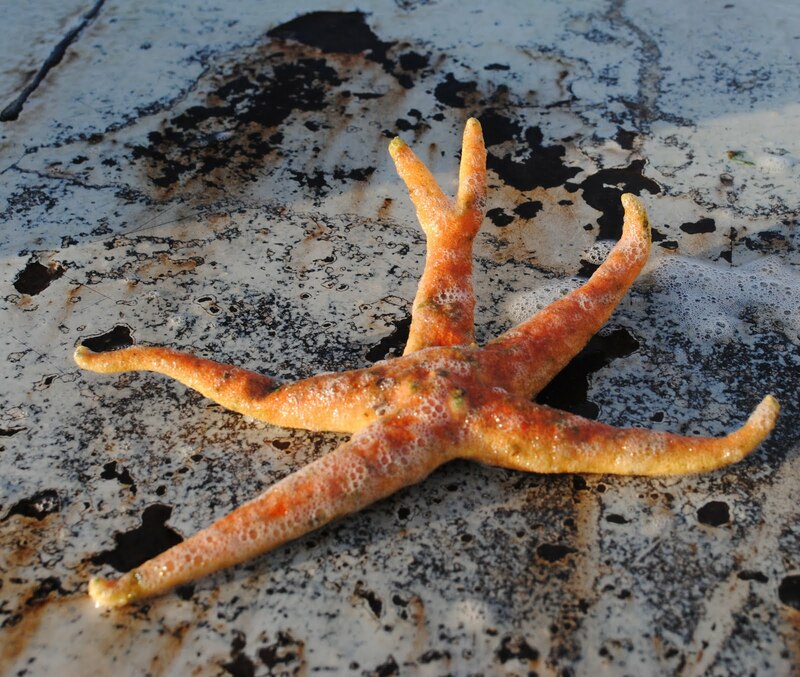 Most sea stars can regenerate a lost arm, but a few can regenerate an entire organism from the lost arm as well. All sea stars are predators; many species do eat scallops. Hippasteria phygiana – a cushion star with a much wider central disk and shorter arms than the other types of sea stars. 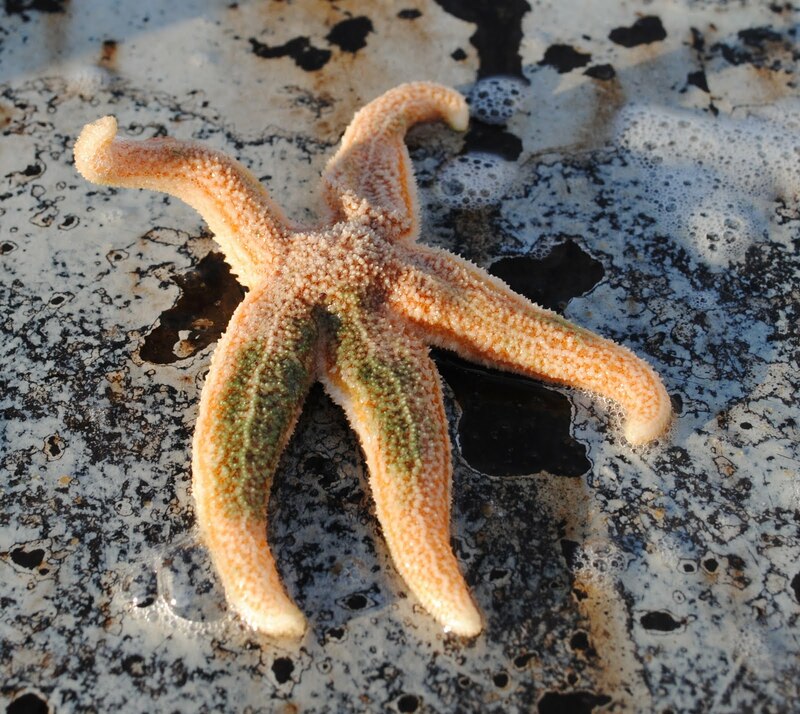 Northern Sea Star (Asterias vulgaris) – is one of the more common sea stars found. It can have a radius of up to 20 cm. 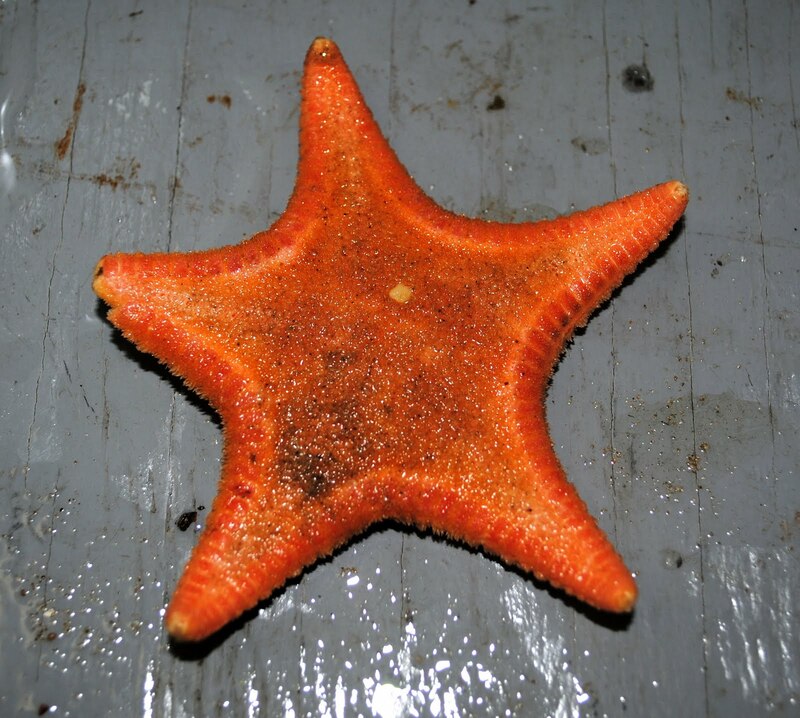 Blood Star (Henricia sanguinolenta) – is a thin armed sea star that ranges in color from bright red to orange. 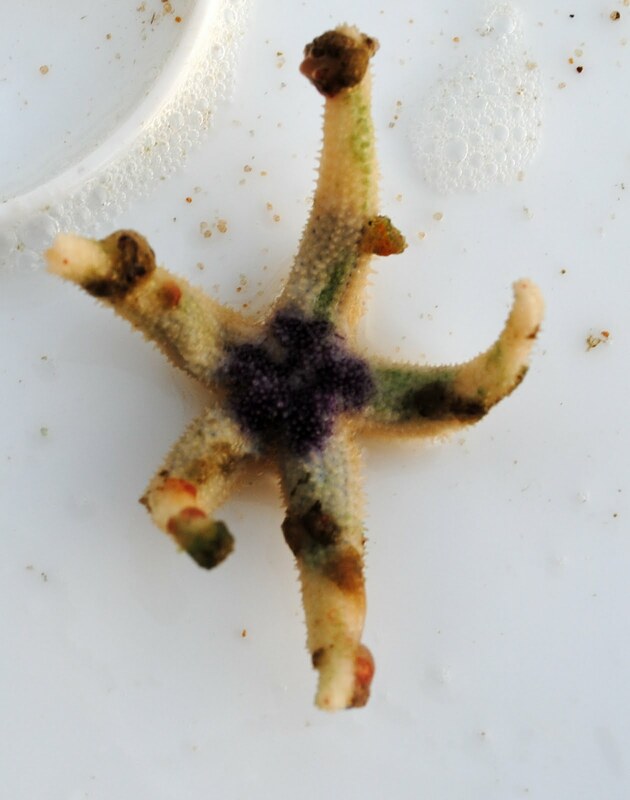 This particular blood star shows some aberant regeneration occurring on one arm. Leptasterias tenera – smaller sea stars than the others. They are usually whitish-tan. Some have purple centers and arm bands. 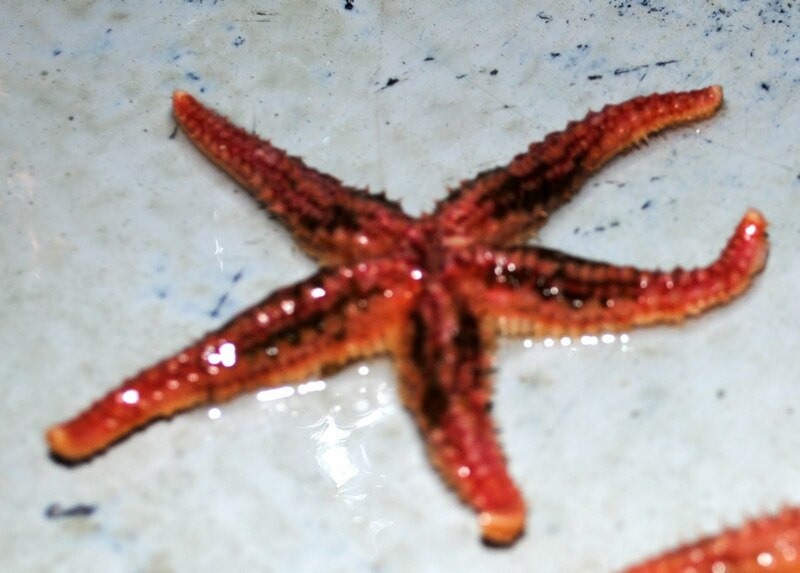 Sclerasteras tanneri – are spinier than the other sea stars seen. They are bright red with thin arms. 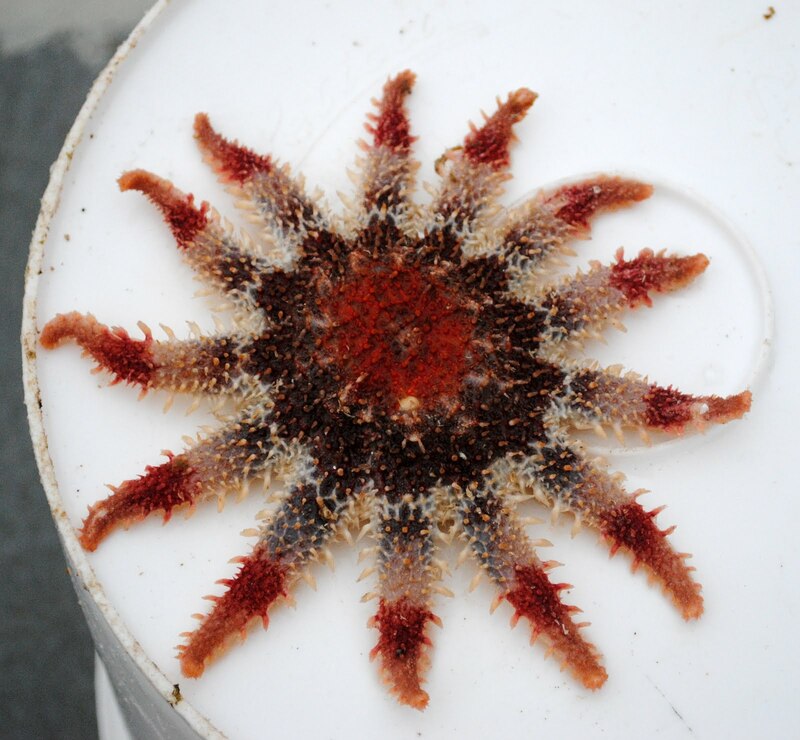 Spiny Sun star (Crossaster papposus) – is the only sea star that I’ve seen here with more than 5 arms. It has concentric rings of color radiating from the central disk of the sea star. 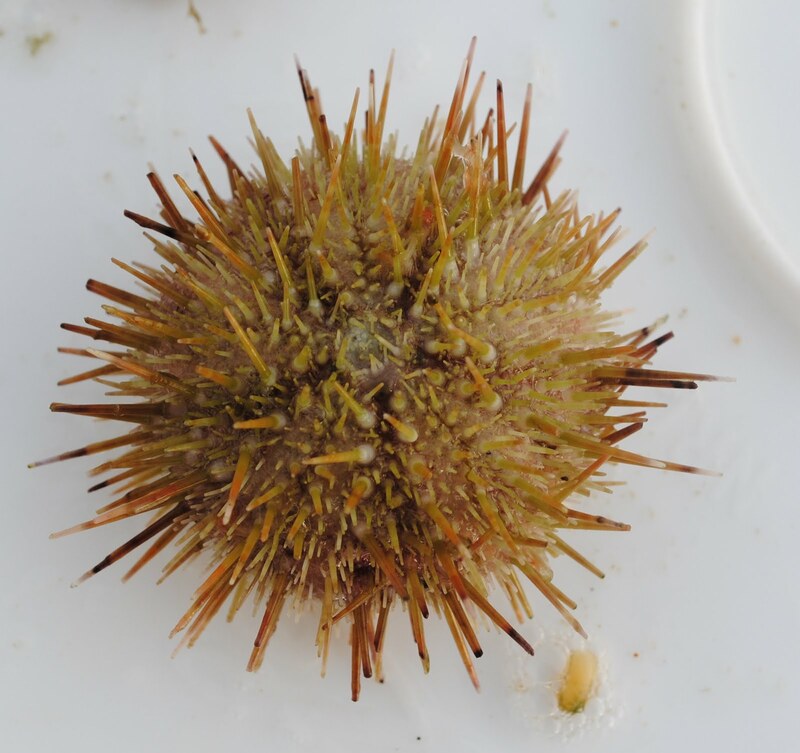 Green Sea Urchin (Strongylocentrotus droebachiensis) – can grow up to 8.3 cm wide and 3.8 cm high. The shell (test) is usually a greenish color and the spines are all approximately the same length. Sand Dollar (Echinarachnius parma) – the common sand dollar. 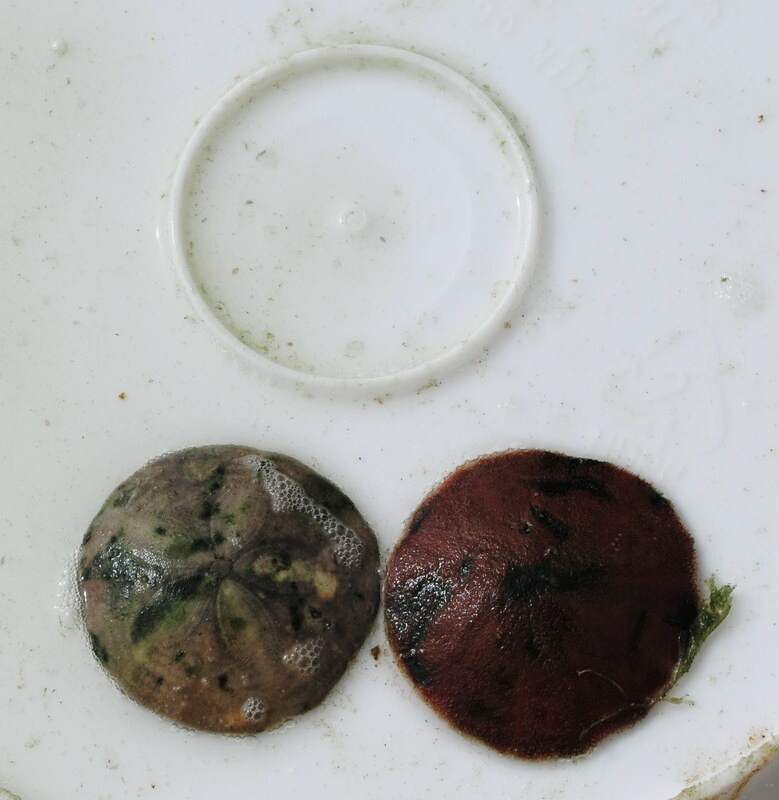 This species does not have openings in the test like the Keyhole type that is commonly found off the coast of the Carolina’s, but does have the flower-like markings on the dorsal side. A great many of these (hundreds of thousands) are found in the dredge on some tows. 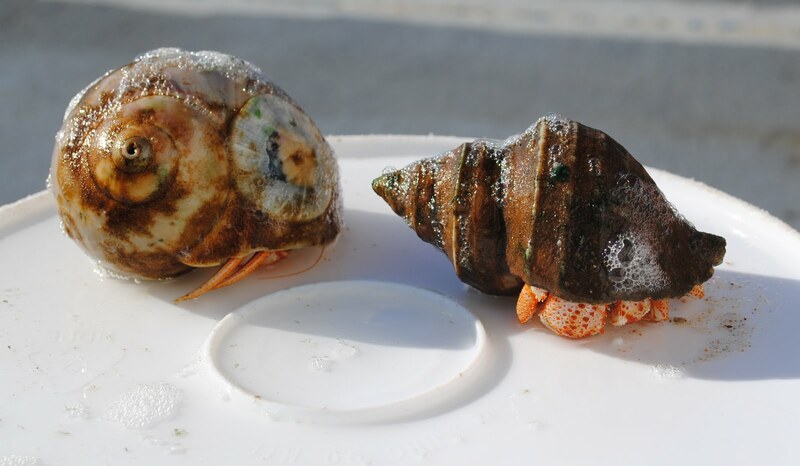 Hermit Crabs (various species) – move from shell to shell as they grow. 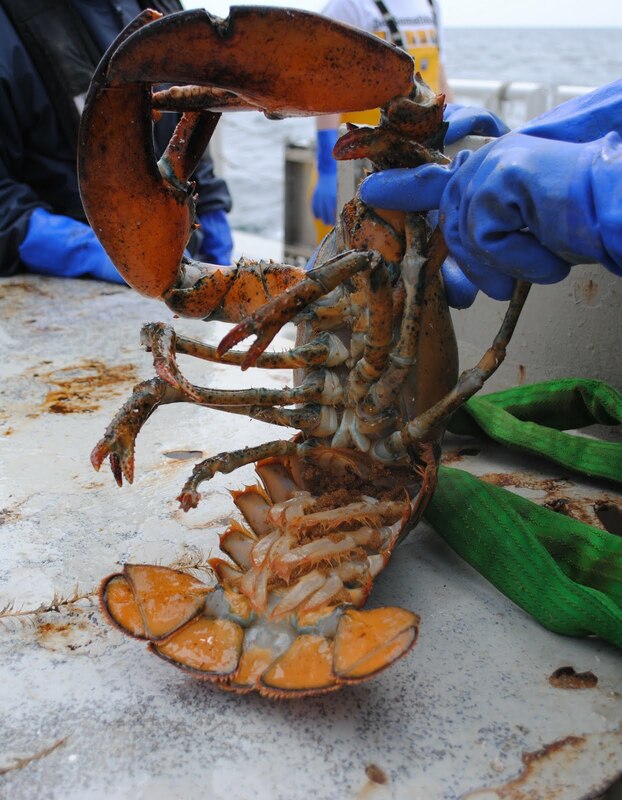 Northern Lobster (Homarus americanus) – can grow up to 90 cm in length. Lobsters are scavengers and can be cannibalistic. Claws and tail are highly prized for meat. 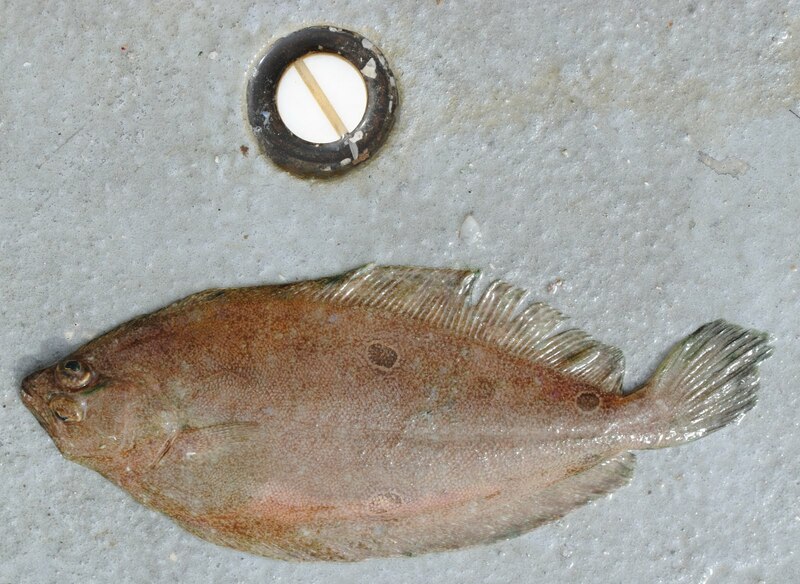 Winter flounder (Pseudopleuronectes americanus) – are darker than the other flounder. 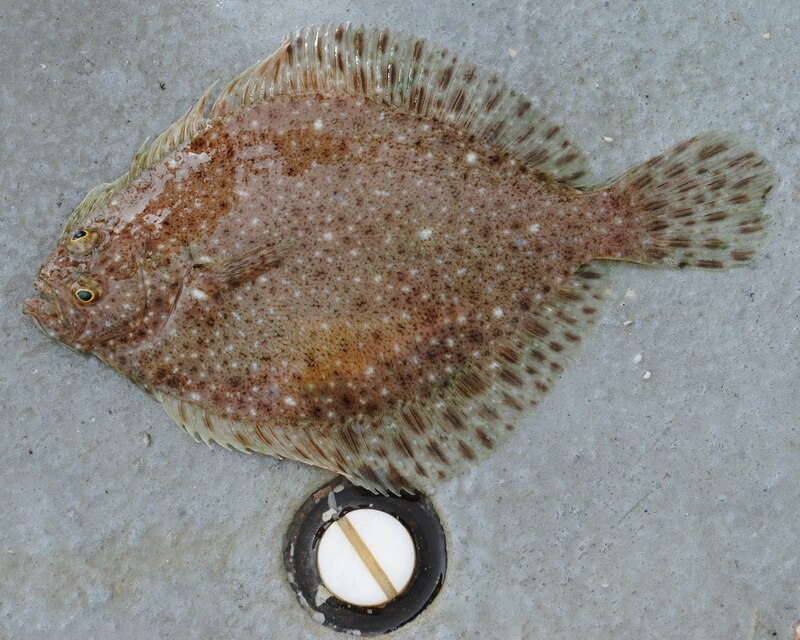 Like summer flounder, they can change color to match the underlying ocean floor. 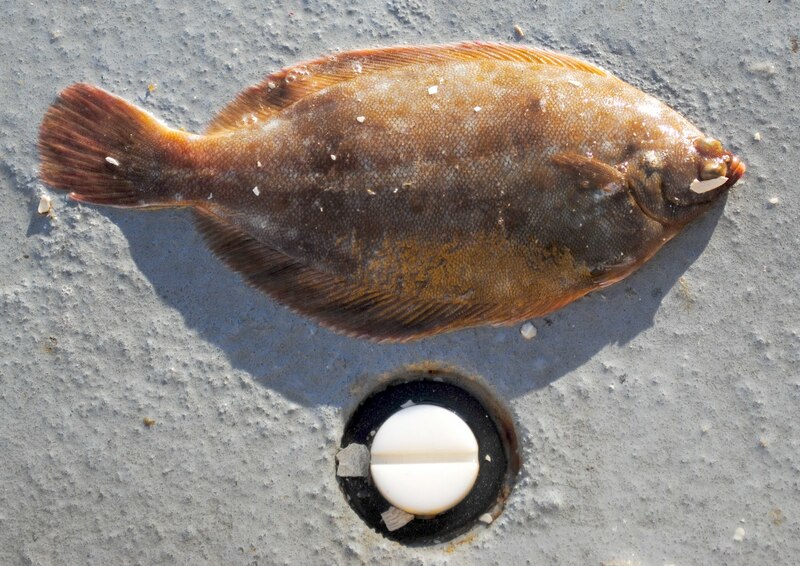 Winter flounder can live up to 15 years. They can reach a maximum size of 64 cm and 3.6 kg, with the average being 31-38 cm and 0.7-0.9 kg. 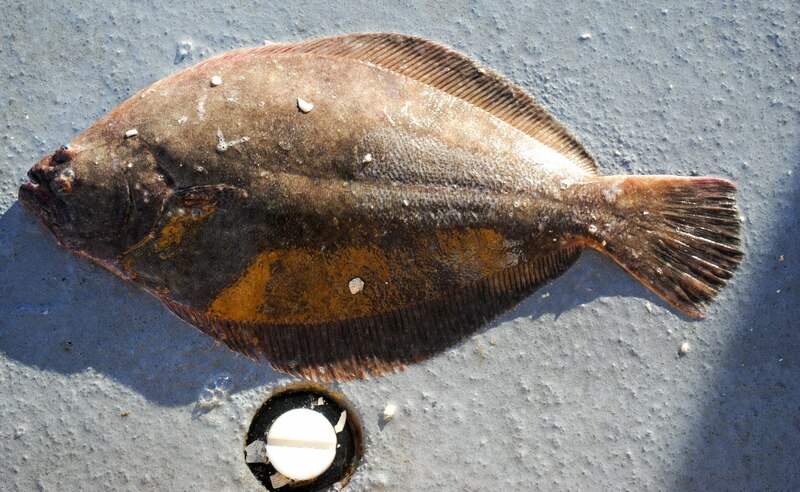 Winter flounder eat mostly small invertebrates, like polychaetes and shrimp and some small fishes. 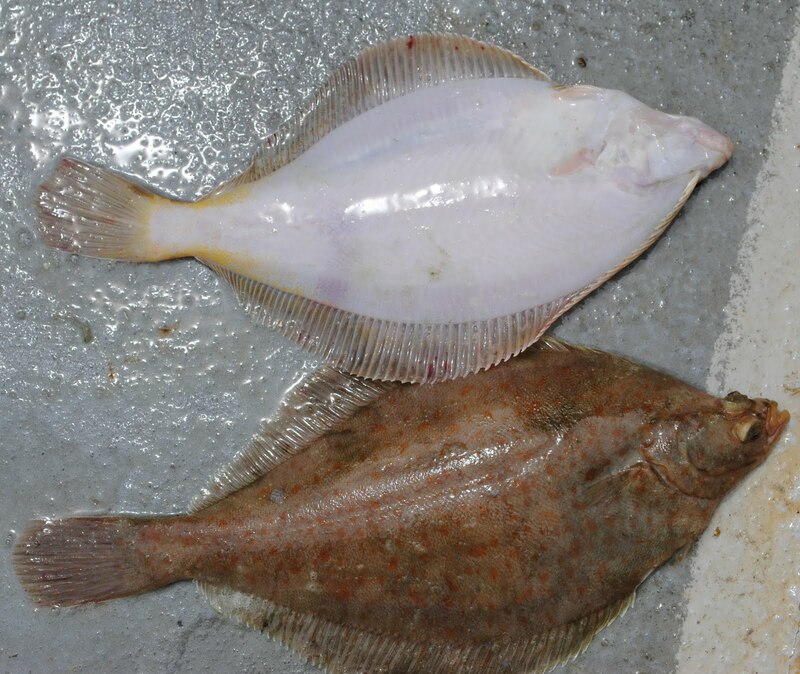 They are preyed upon by cod, skates, goosefish, and spiny dogfish.Winter flounder are the thickest of the flatfish, but are considered over-exploited. Haddock (Melanogrammus aeglefinus) – a silvery fish that is dark grey on the dorsal side with a dark patch behind the gills. The largest recorded haddock was 111.8 cm long and 16.8 kg. The average haddock is 35-58 cm long and 0.5-2 kg. Small haddock eat crustaceans, polychaetes, and small fish, while larger haddock eat more echinoderms, but will eat most anything. 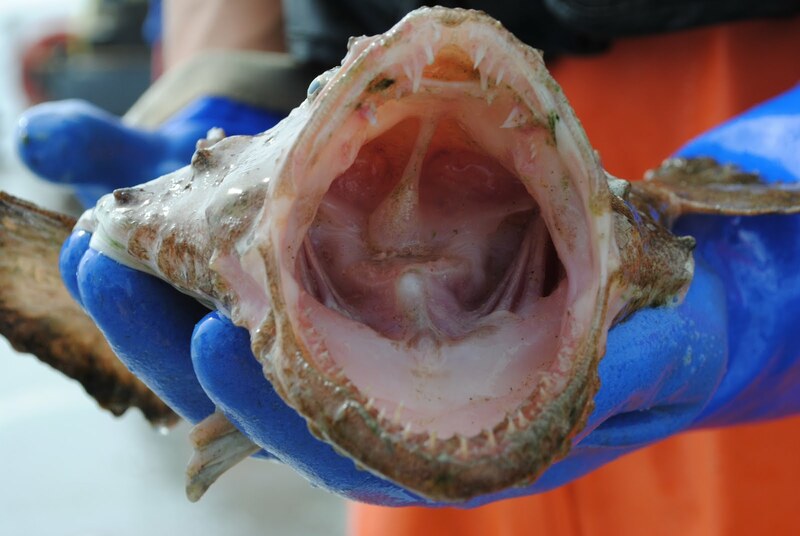 Predators include spiny dogfish, skates, cod, other haddock, hakes, goosefish, and seals. Haddock aquaculture was begun in 1995. The biomass of haddock was considered below maintenance levels in the late 1990s. 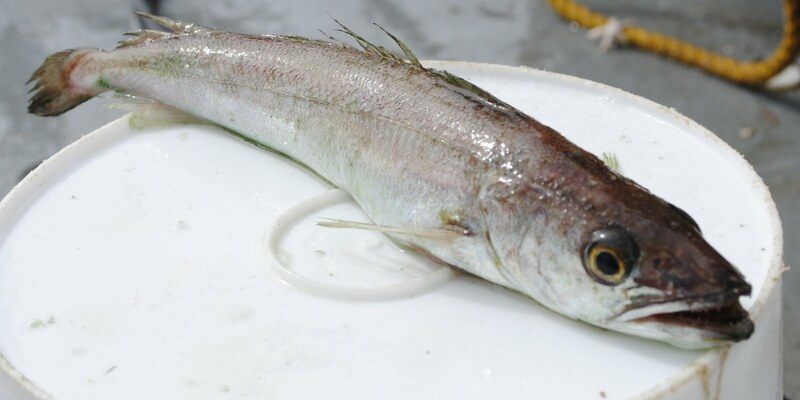 Fawn Cusk-eel (Lepophidium profundorum) – are greenish with light green or tan spots down the sides and, unlike true eels, have pectoral fins. They average about 26 cm in length. 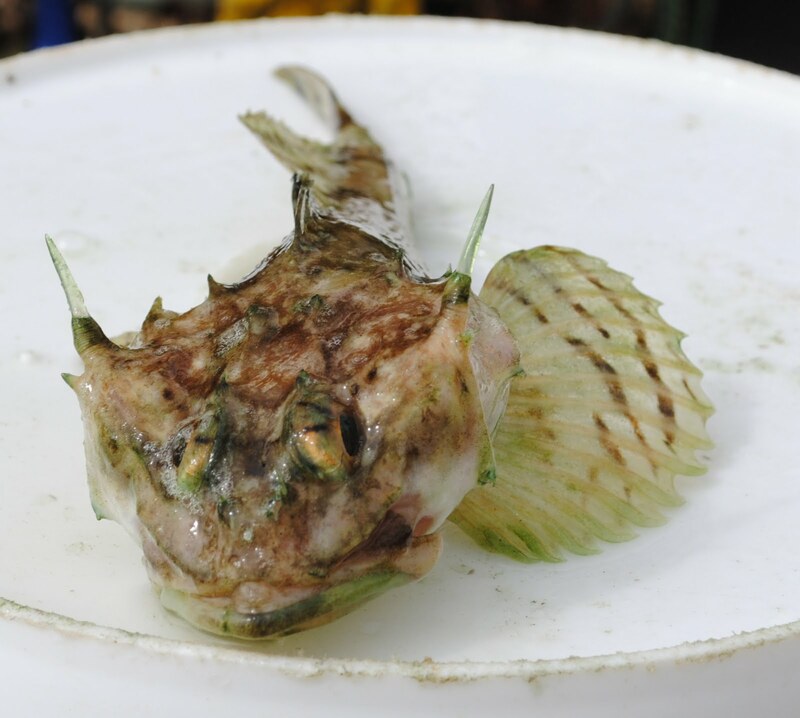 They eat sea mice, shrimp, and echinoderms. 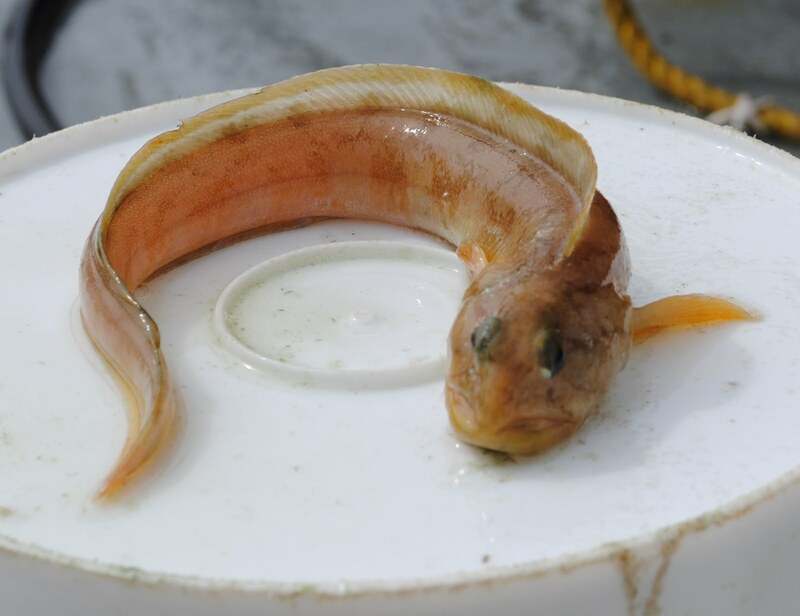 Larger fawn cusk-eels eat flatfish as well. 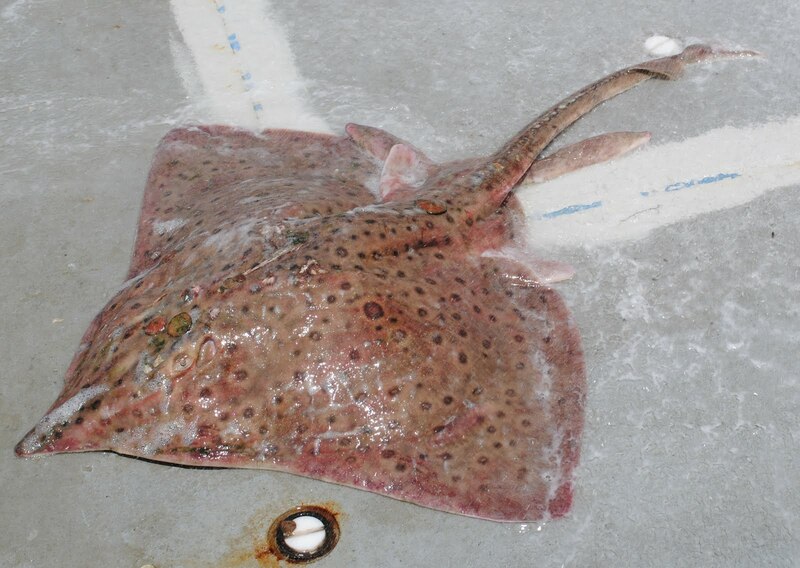 They are eaten by skates, spiny dogfish, hakes, flounders, and sea ravens. 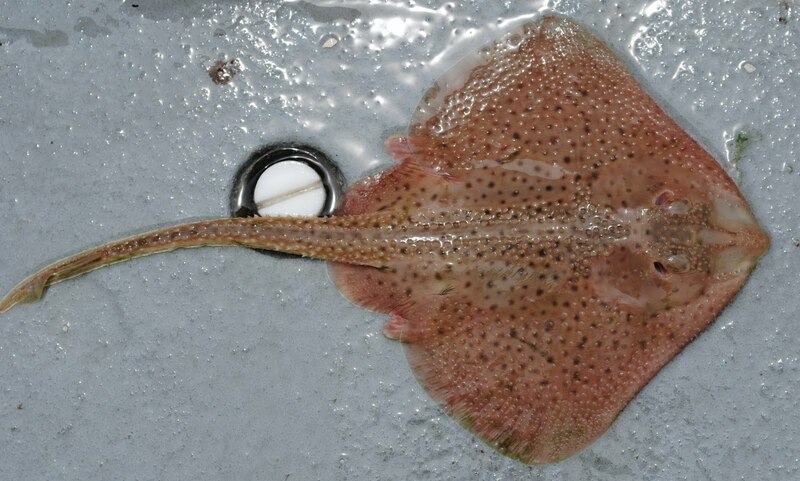 Winter Skate (Leucoraja ocellata) – large, heart-shaped skate. 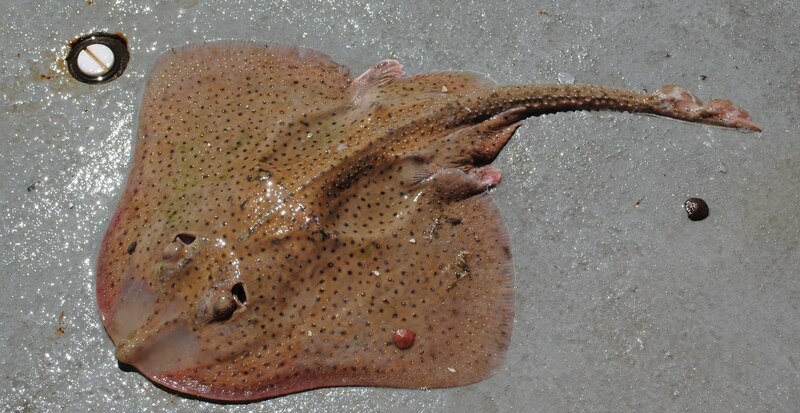 Like the barndoor skate, winter skates can be quite large, up to 150 cm long. They eat bivalves, shrimp, crabs, echinoderms, and many types of fishes. They are eaten by sharks, other skates, and grey seals. They are considered to be commercially important. At the time that I was there, no land and no other ships were within sight; there was nothing but water and wavelets as far as I could see.We’ve see several ships on the horizon, and two container ships close enough to get a good look at. One of those passed quite close as we had a dredge down.